Wilco frontman Jeff Tweedy's second-ever solo album, WARMER, arrives less than five months after his first, called WARM. 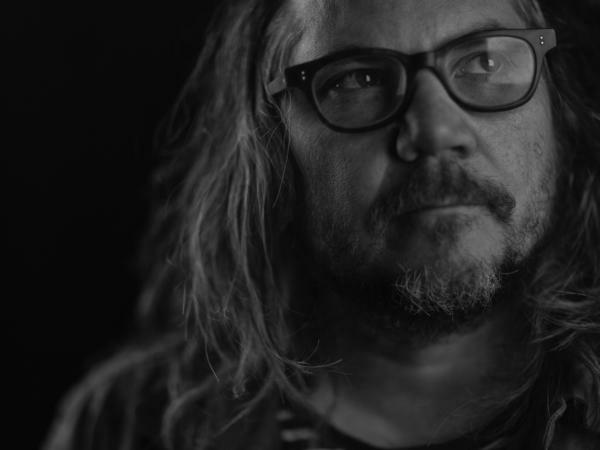 Wilco frontman Jeff Tweedy is surprising fans with a new album this week. WARMER is due out April 13 and will initially be available on vinyl only as a Record Store Day exclusive limited to 5,000 copies. The album is a sequel to Tweedy's previous full-length, WARM, which came out less than five months ago. While the full album will (for a while) only be available to hear if you own a record player, Tweedy is sharing one song from WARMER via YouTube now. The T-Rex-inspired track "Family Ghost" is a warped and woozy shuffle that finds Tweedy reflecting on a troubled past America can't seem to shake. "Spray paint me gold / Pull my face up to the blinds," he sings. "I'm a family ghost you'll never leave behind." The ten tracks on WARMER were recorded during the same sessions for WARM, at Wilco's Chicago studio, The Loft. A digital download and streaming version of WARMER will be available sometime later this year.